Who’s seen Noel Fielding’s new comedy? I’m planning to take to the sofa very soon and catch up on good ol’ iplayer. But before that, I’m pleased to announced (cue trumpet!) 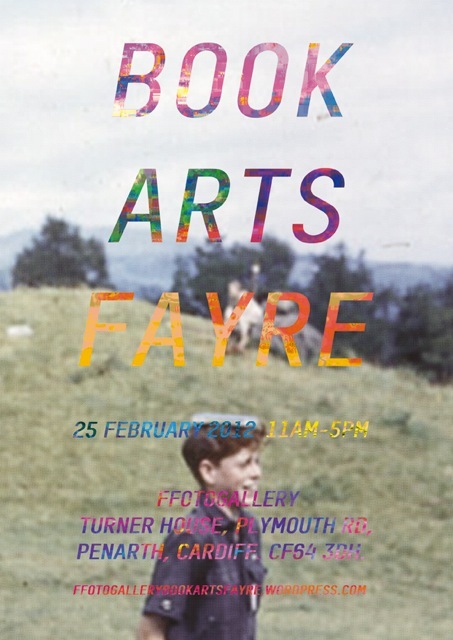 that on Saturday 25 February I’ll be having a stall at Ffotogallery’s annual (ish) Book Arts Fayre. 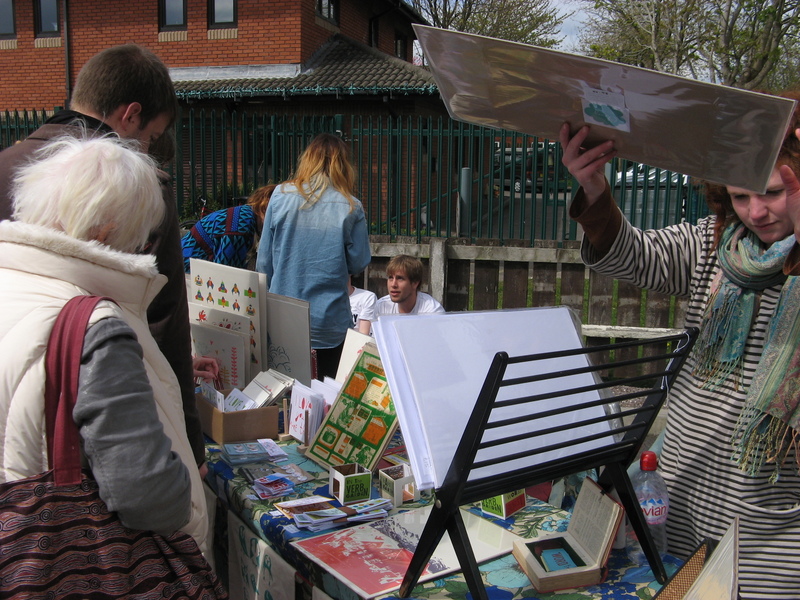 I’ll have a range of work with me to show and sell, from illustrations to brand newly printed / designed books. Occasions like these are good for making me focus my ideas and create / develop some new techniques. When I’m looking for ideas (and because much of my work features animals / nature) I take myself to the natural history part of the museum. 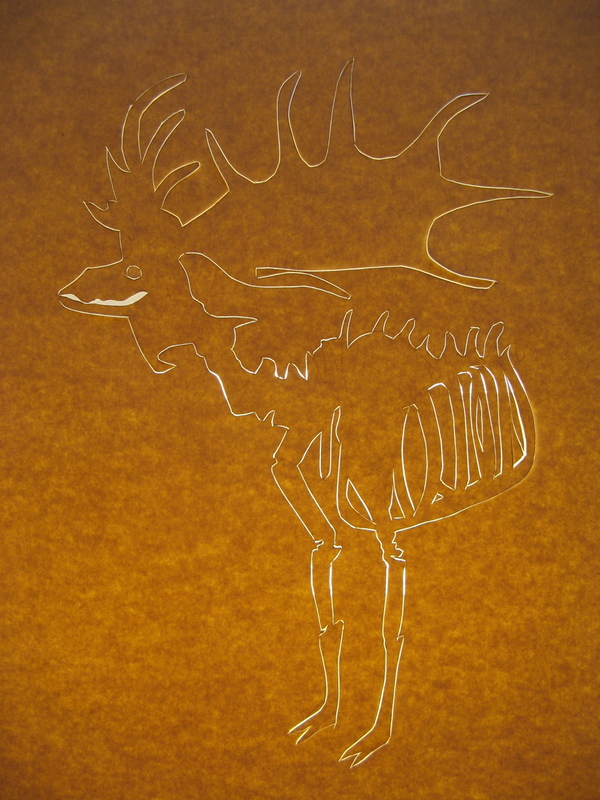 Upon my visit last weekend I encountered the skeleton of a (now extinct) Irish Elk. 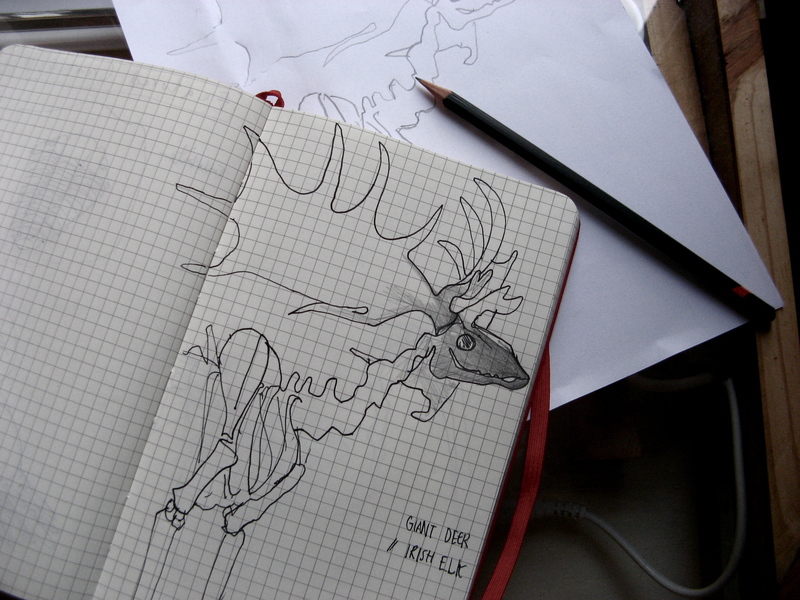 Its antlers were spectacular, and I made a sketch (Its neighbour was a ginger bison exactly the same colour as my hair). 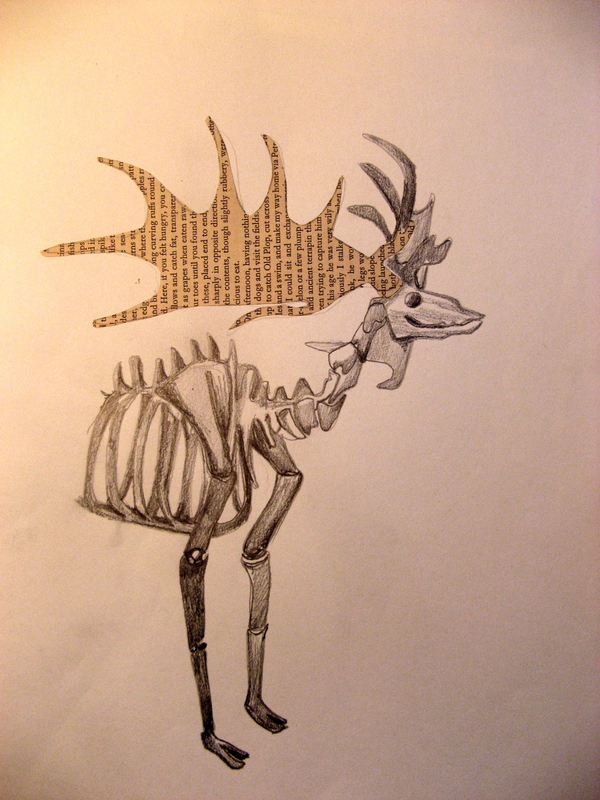 …and then developed the sketch into a tonal illustration, brought to life with book print for an antler. Perhaps this alludes to the fact that this creature, now, survives only through story? Since the start of this term I’ve been taking a screenprinting course at the Cardiff Open Art School – I’m truly addicted now, and look forward to setting up at home. 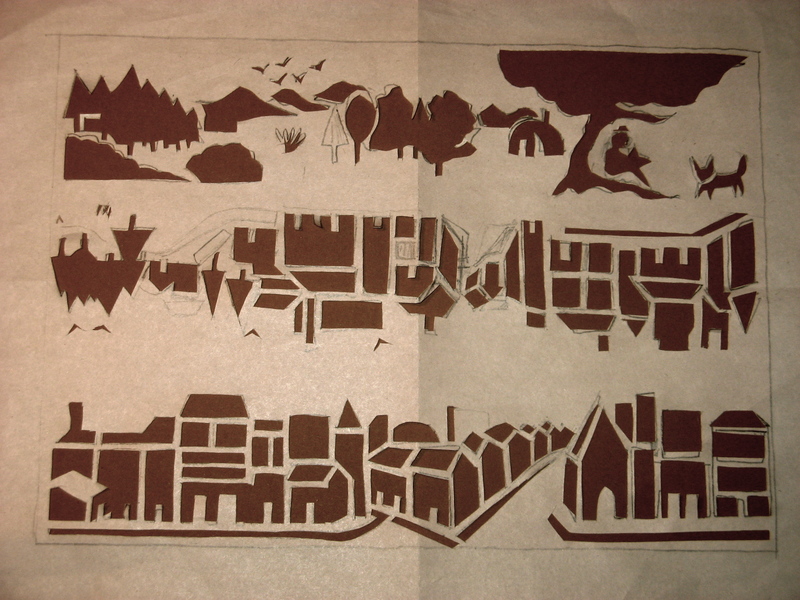 We began with paper stencils, and below is one of the stencils for a two- colour print. 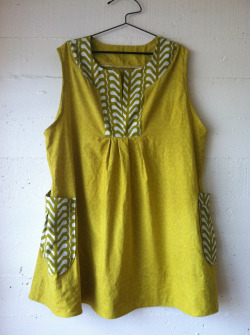 It’s about escaping from a bustling city into open spaces, once in a while. 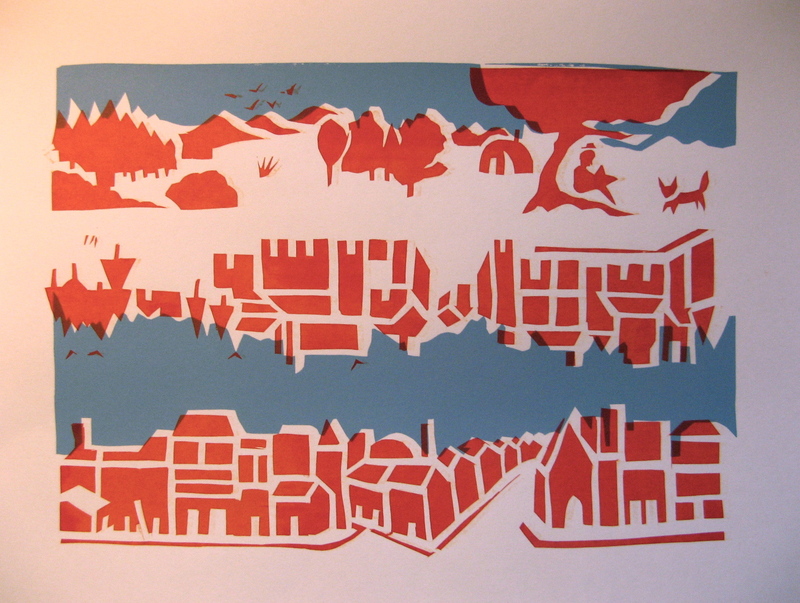 Here is the finished print – I like the third colour created by the slightly mis-matched registration. The middle illustration is upside down, as I designed it to be a single-sheet book – although it looks nice in its own right, I think. I need to start thinking about a design to use for a photo stencil, for tomorrow’s class. 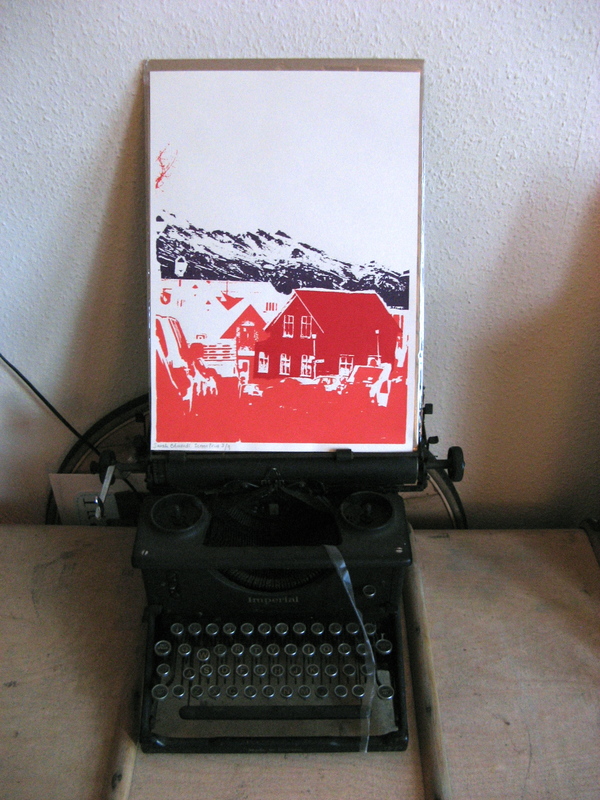 On 11th and 12th February I will be teaching another Letterpress weekend class at the Cardiff Open Art School. Visit their website to find out more and book! Yesterday I spent the afternoon wandering around Montpelier with friends. First stop was the Here Gallery (which I’ve been meaning to visit for some time) which stocks a hoard of illustrations, prints, handmade books and small press zines. Check out their website for opening times and details of upcoming exhibitions. There I bought Issue 12 of the ever pleasing Uppercase Magazine, which focuses this issue on cartography, artistic adventure and a love of paper. I’m looking forward to burying my nose between the (very well designed) pages. The cover artwork, below, is by Jennifer Collier: view her wonderful ephemera-inspired creations right here. I also purchased The New Ghost by Robert Hunter, an illustrated story/comic published by NoBrow press. It follows a ghost who, on his first day, accidentally makes friends with a human astronomer. The page layouts and colours are innovative and the story subtly told. Below is a spread from the book: click on the cover to find out more about this title and others on the NoBrow website. 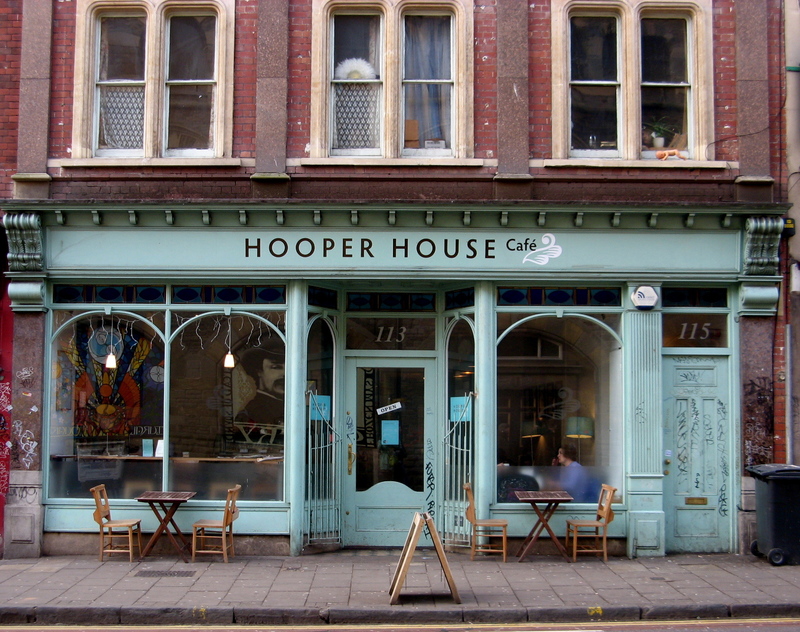 When we arrived we ate toast in this cafe – I’m currently working on a shop-front illustration and plan to use this as reference. Then later, following an afternoon of galleries charity shops cafes and conversation, we climbed onto the roof of a friend’s house as the day slipped towards dusk.